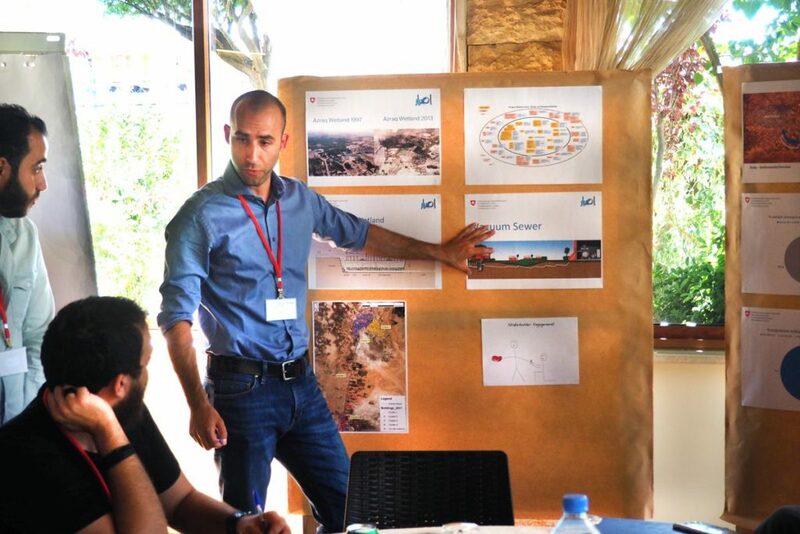 From 1-6 July BORDA participated in SDC´s regional WASH workshop in Bekaa, Lebanon. 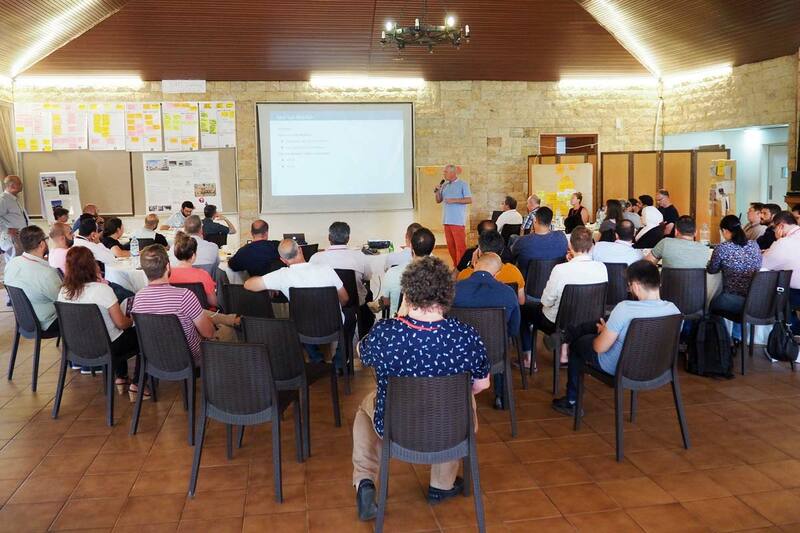 The ISSRAR project was one of six case studies that were presented to over 50 WASH practitioners working with development agencies, the UN and INGOs from all over the MENA region (Jordan, Lebanon, Syria, Morocco, Iraq and Egypt). The workshop was designed in an interactive manner that addressed each individual project cycle (e.g. context analysis, project planning, project implementation, closing & learning). Each working group composed of WASH practitioners presented a project phase and gave their input and advice. ISSRAR was then under the spotlight as a project focusing on sanitation in Jordan which has the potential of becoming an exportable reference project in the region. To that end, the ISSRAR team will develop generic designs and approaches to foster scaling-up initiatives in the region. As the ISSRAR project is still in the inception phase, the workshop participants’ inputs were extremely beneficial to the current ISSRAR framework. Alex Miller, BORDA WesCA Regional Director brainstormed with the workshop participants and was very happy to collect so many innovative ideas and suggestions to take back to Jordan. Such interest was triggered in particular by the challenging and complex context in which the ISSRAR project works. The protracted conflicts in the region and the severe water crises in Jordan call for long-term development initiatives promoting sustainable infrastructure at the same time as national capacities development. The combination of these two processes are key in successful implementation and operation of sanitation programmes better designed to fully tackle the sanitation value chain.